Mama Monday : All about water! 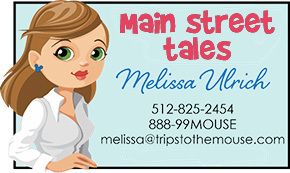 Hi Mamas, It’s summer and it’s HOT at Disney this time of year, actually most of the year it is hot at Disney. I can’t stress the importance of making sure you and the kiddos stay hydrated. 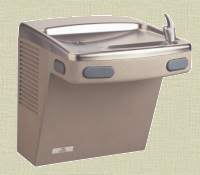 Dehydration can lead to stomach issues, heat exhaustion, headaches, and GRUMPINESS! None of which are fun to deal with on a regular day but you definitely don’t want to deal with this on your magical vacation. So where can you find water at Disney? EVERYWHERE! 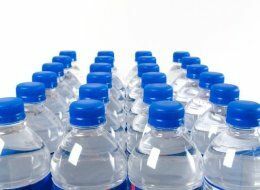 You can buy bottled water at every restaurant and snack place. You can also get a bottle of water with your dining plan also. I prefer to bring our water into the park, which is totally allowed! If you’ve rented a stroller from our friends over at Kingdom Strollers, you can order a case of water for $9 through them and they include a cooler bag free of charge with their strollers. This is our preferred method of taking waters in. Every room at Disney has a mini fridge so we are able to keep the waters cold then put four in the cooler bag for the day. If you have ordered groceries, you can also order water by the case that way. Our family goes through a case easily. 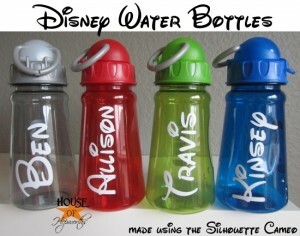 Plus Disney has a way to recycle the bottles. 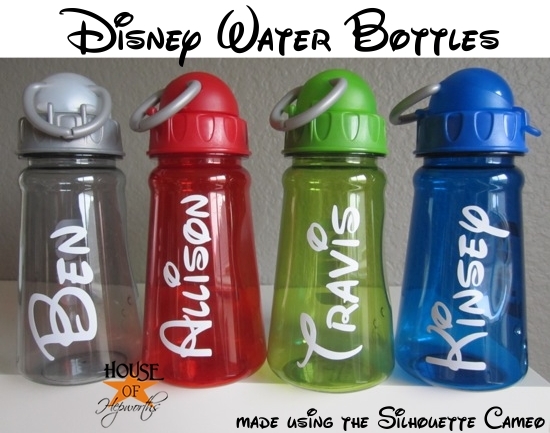 And for those of you creative people, you can make your own custom Disney Water bottle like these or you can order them all over etsy! As much as I love sodas, they don’t keep you hydrated. Water is the best solution. Don’t wait for your kids to say they are thirsty. We keep our kids’ sippy water cups attached to their stroller and every time they hop in the stroller, they take a drink. 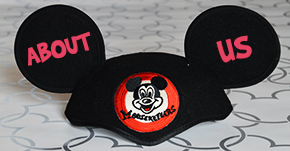 Keep everyone healthy and hydrated with water throughout all of the parks!